PWP is part of a team re-creating a historic headland on an abandoned dock in Sydney Harbor. Inspired by vintage paintings, plans, and photography, all documented with geomorphological evidence. The former Miller’s Point headland was a “Club Cape,” a bluff gradually rising from the north and culminating in a steep cliff-like face at the south. The new headland will be distinguished from its historic model by incorporating an underground cultural center and a public garage. A shoreline walk will provide major public access to encourage exercise and amusement; it features pedestrian and bicycle pathways separated by a sandstone wall that follows the 1836 shore edge. Quarried on the site, water-jetted blocks of sandstone —a material that references both the topography and the building material of early Sydney—will mark the edges of the harbor and shelter tidal pools. Plantings will be specific not just to Australia but to Sydney and include a replicated bush as well as large specimen trees. 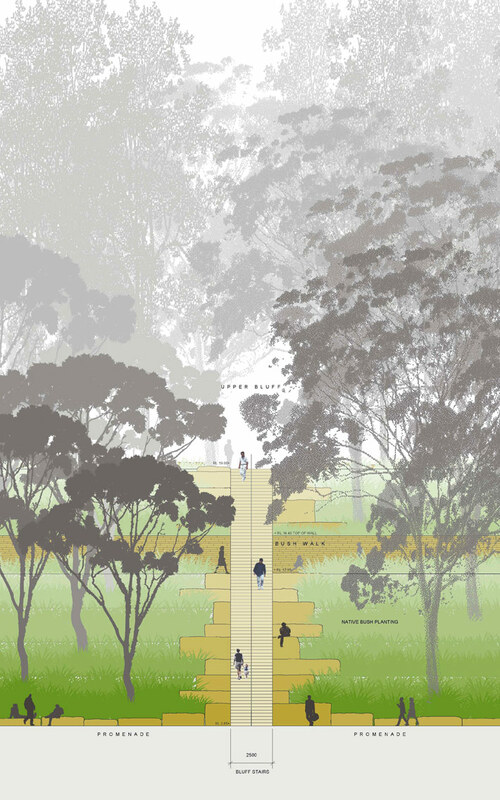 The result will be a park that unites cultural references with natural processes. 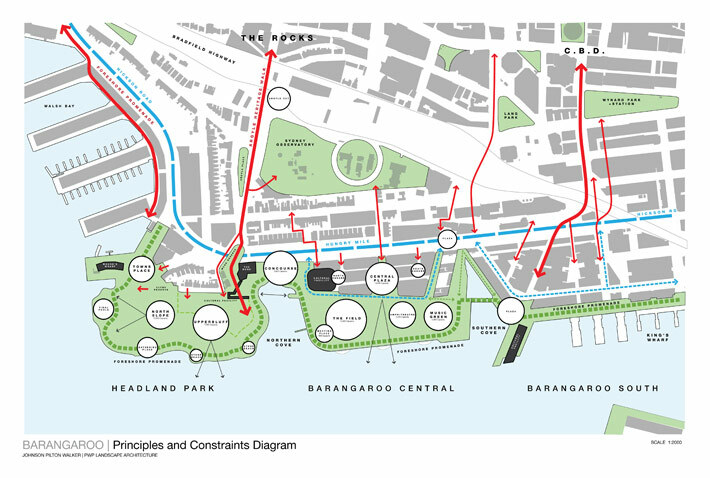 Click here for further detailed information about Barangaroo. 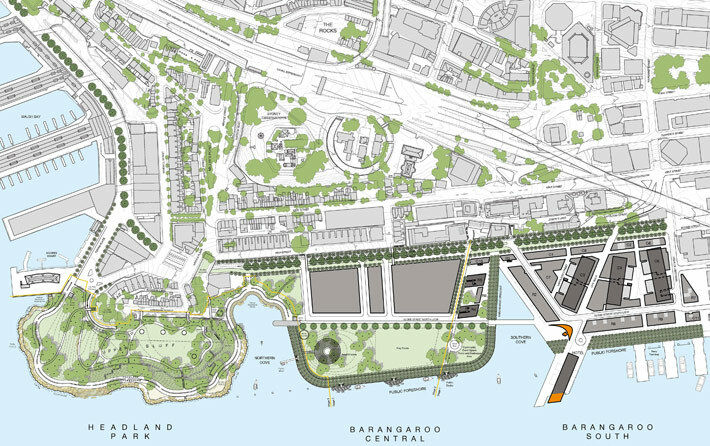 WATCH: Barangaroo foreshore stone mock-up time lapse from PWP Landscape Architecture on Vimeo.